Satoshi Kusakabe, a Japanese journalist and staff writer at the Mainichi Shimbun, has written an exhaustive study entitled ‘Freedom of Information Legislation and Application: Japan and the UK’ focusing on how journalists in Japan and the UK have been using FOI since their respective laws came into force more than 10 years ago. ‘The numbers of countries which have FOI legislation have been increasing. 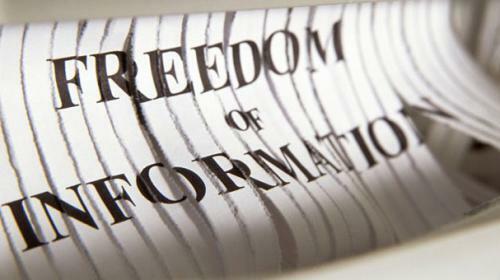 FOI is a fundamental human right as well as one of the most important tools for journalists, enabling them to free themselves from the risk of being dependent upon anonymous sources in a ‘post-truth’ era. I conducted a quantitative and qualitative comparative analysis on how journalists in Japan and the UK have utilised FOI legislation, finding some differences and common challenges. First, British journalists have been using FOI more frequently and aggressively than Japanese journalists. Although some Japanese journalists have tried to improve how they use the FOI, much more effort is needed, including filing appeal procedures effectively. The second finding is that the oversight body, such as the ICO (Information Commissioner’s Office), and the courts, have worked better and more independently in the UK than in Japan. Finally, there are common challenges both in Japan and in the UK. Public authorities seem to be increasingly reluctant to create and disclose public records. Many journalists in the UK expressed concern that public authorities have been getting skilful at evading release of public records, in particular those which contain sensitive information. In Japan, there have been some cases in which government officials did not create public records from scratch or treated documents as “private notes” to avoid disclosure.